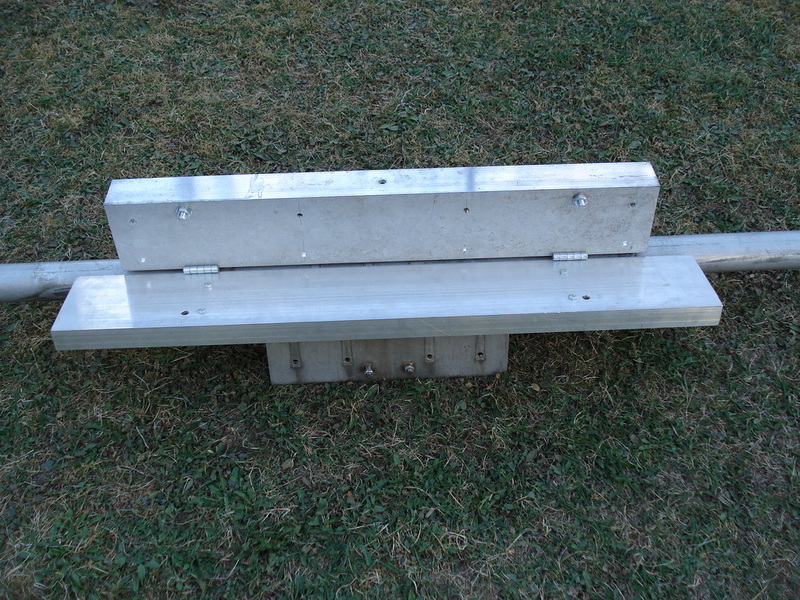 ​4x15 el 3wl Que Dee H pol. 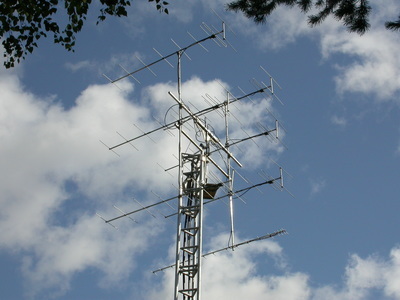 Inside: 4x10 el. 1.6 wl Wisi UY-12 V pol. 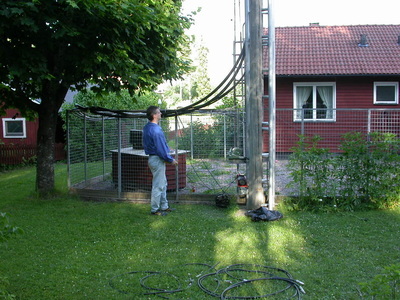 on fiber glass tube. 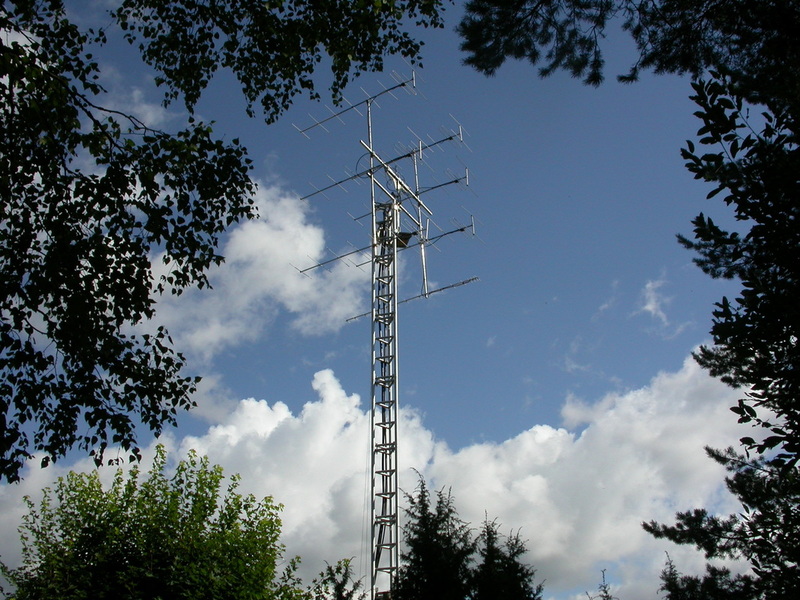 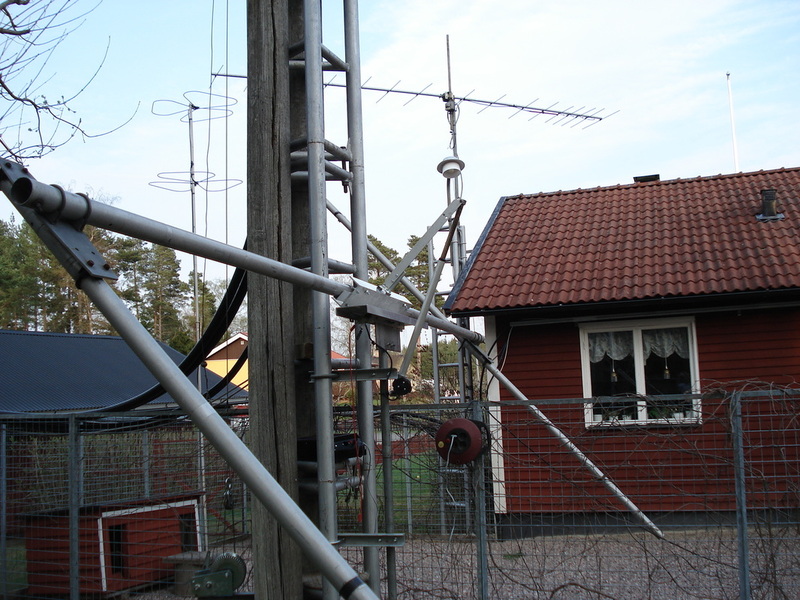 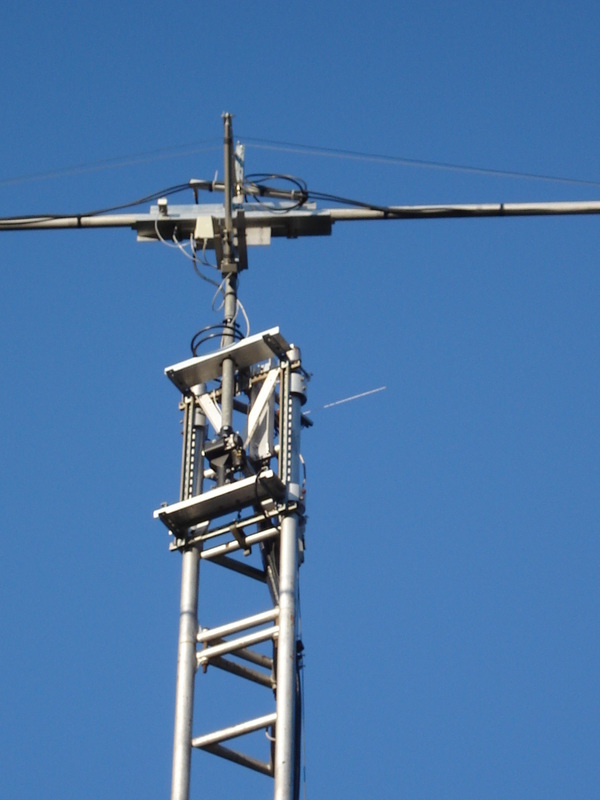 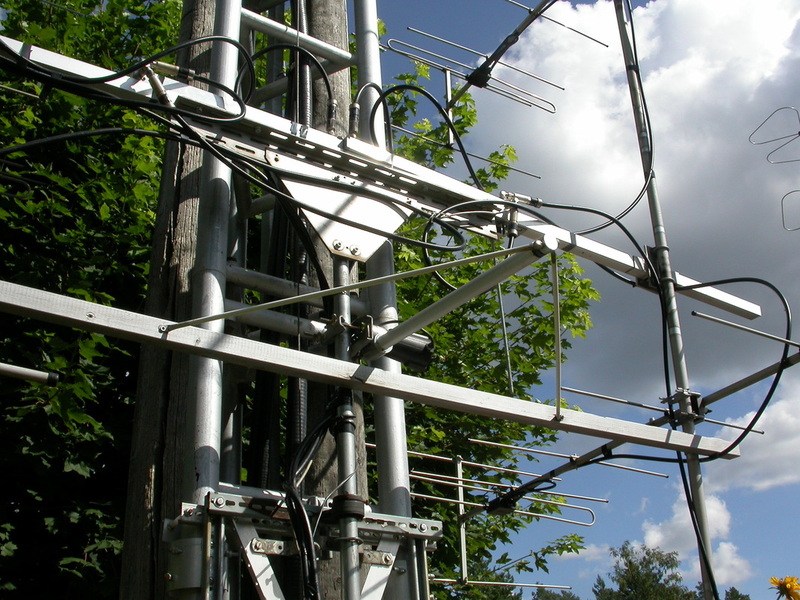 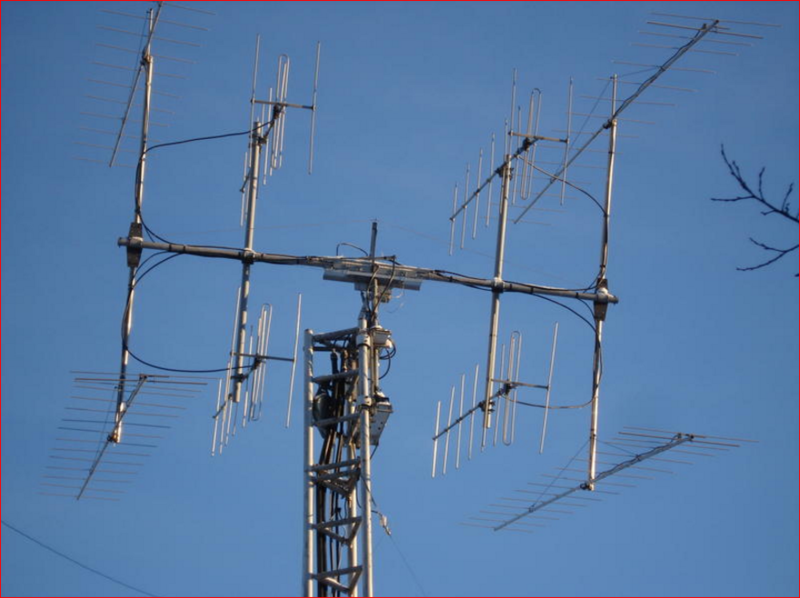 ​My comeback to ham radio after 20 years QRT. 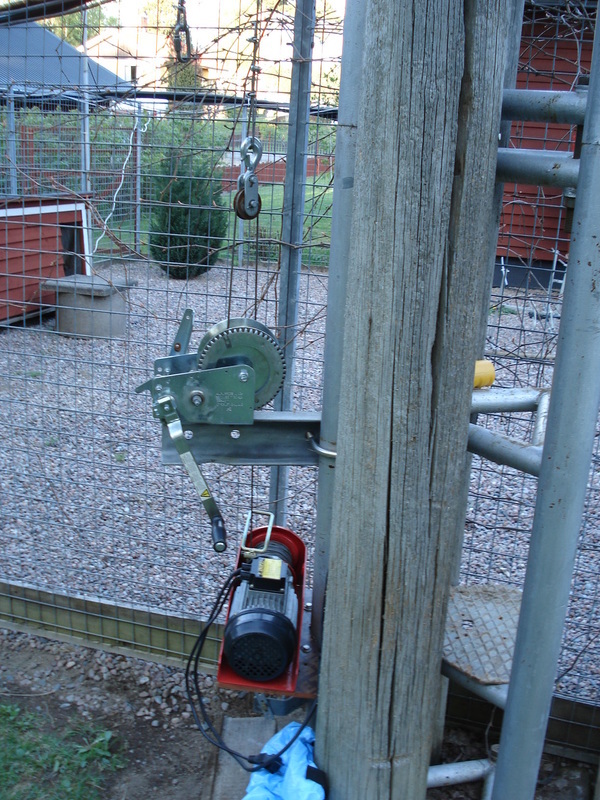 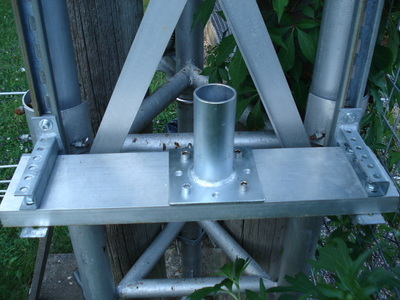 ​Building up sections of the tower to full height with motor and hand winch. 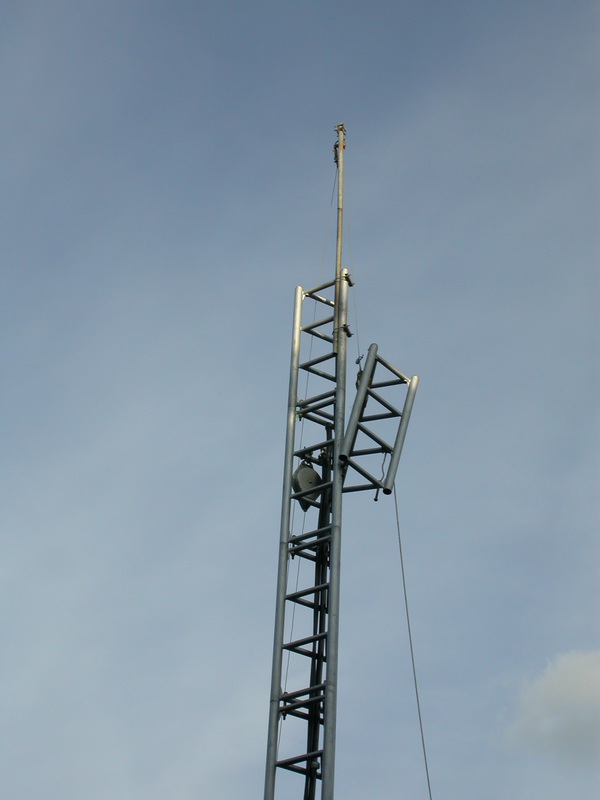 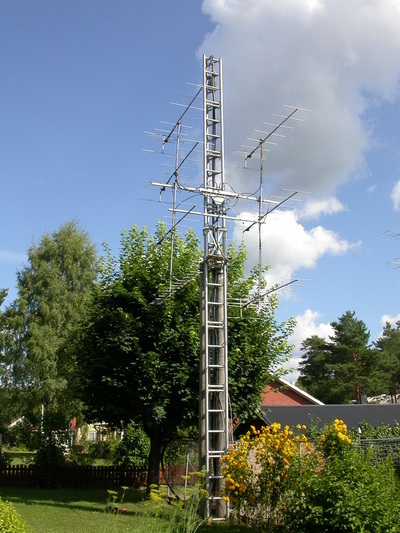 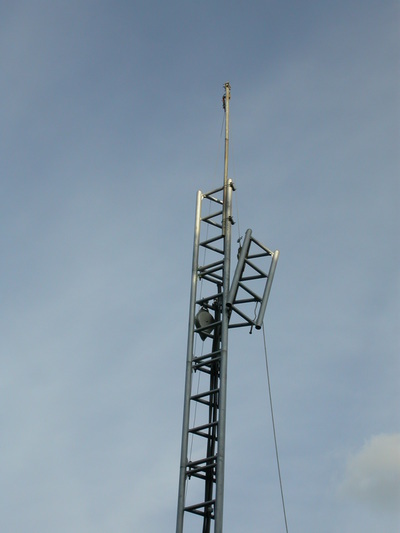 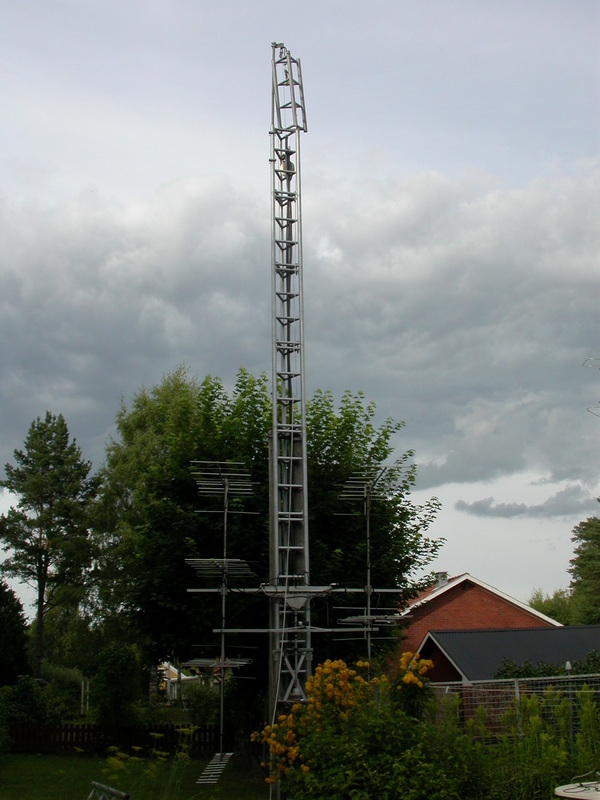 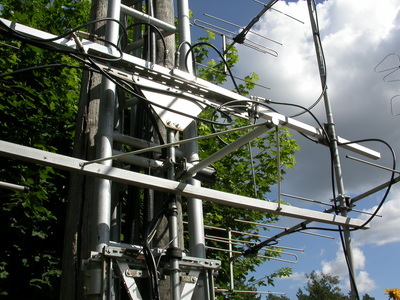 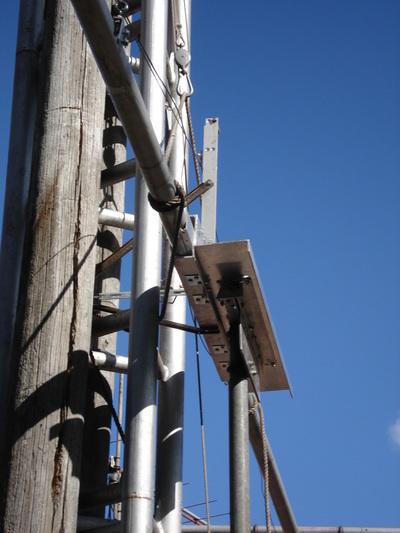 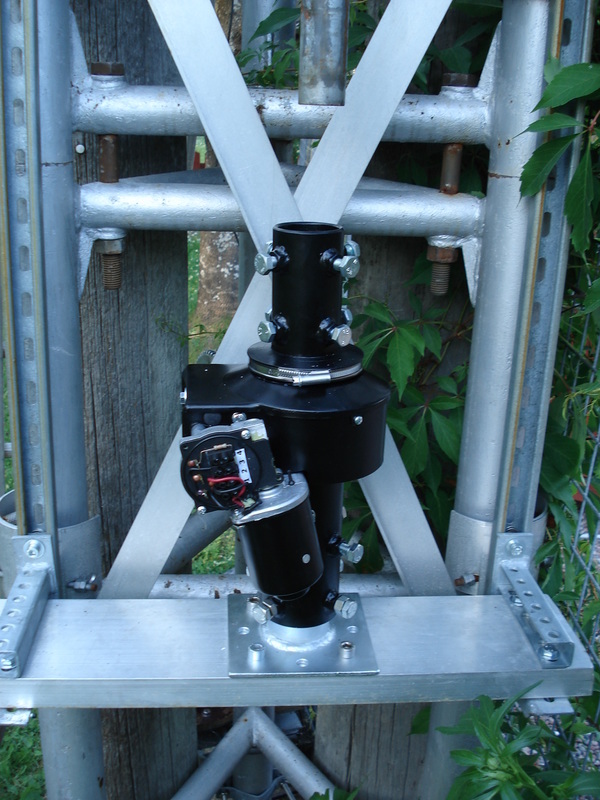 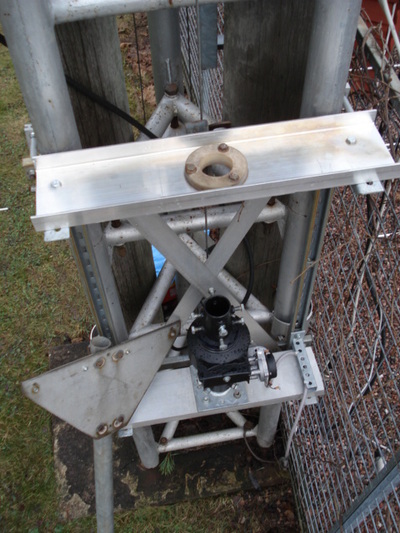 Lift of antenna sections to full tower height. The last distance at the top with the hand winch. 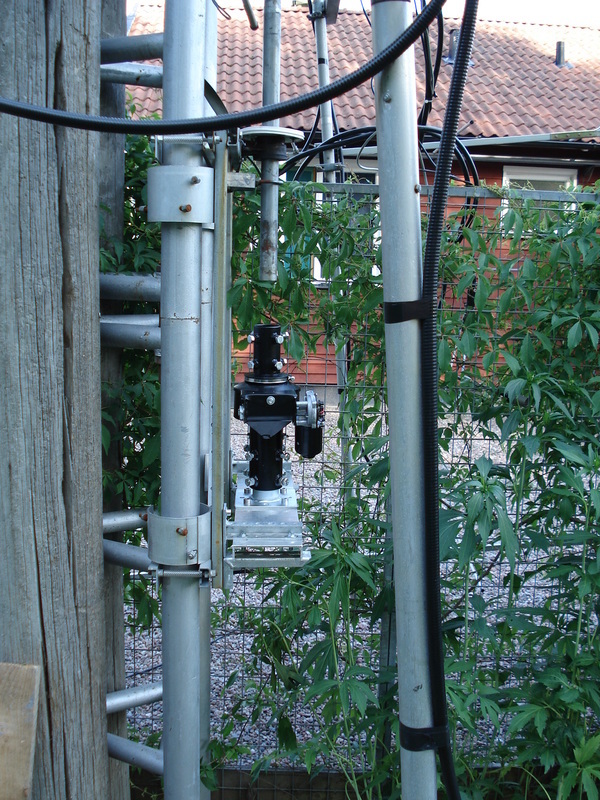 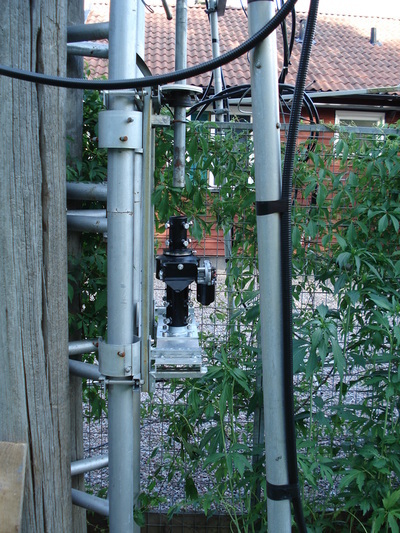 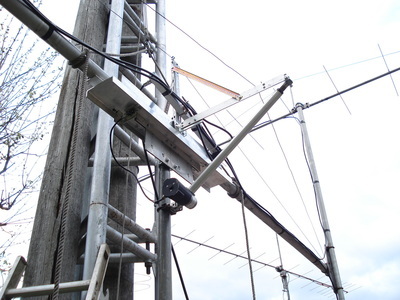 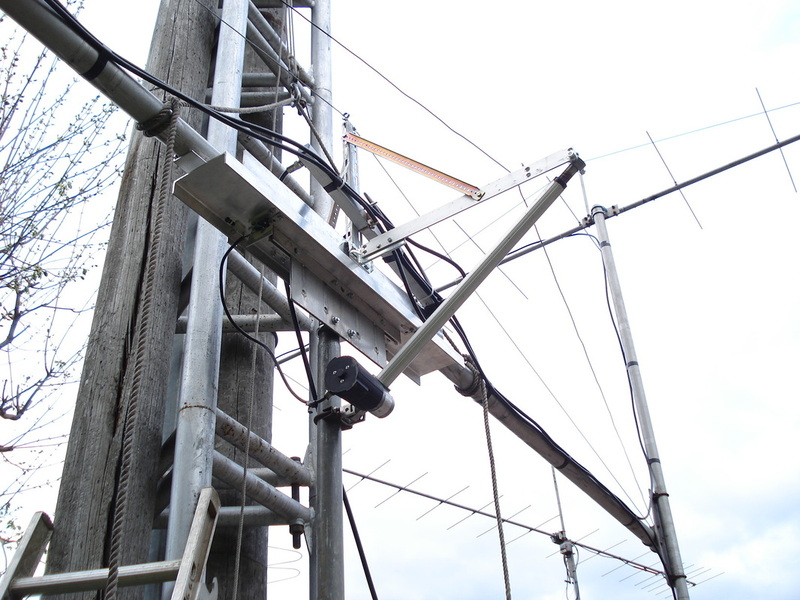 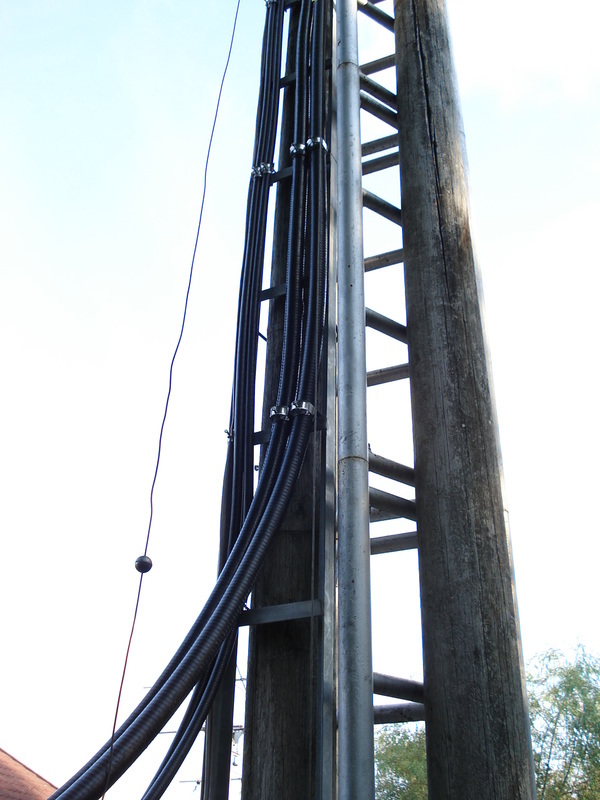 ​Cables 2 x 1 5/8" and 2 x 7/8" cut and measured to equal electrical length and fixed to the tower. 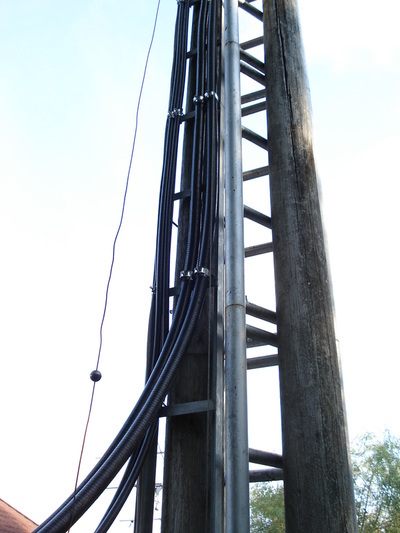 Connectors mounted and all is done like we do at the broadcast stations. 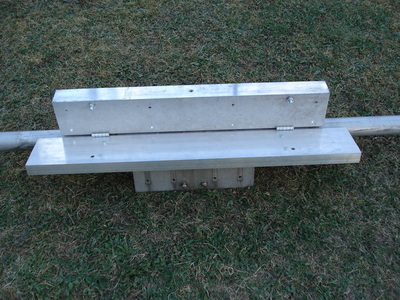 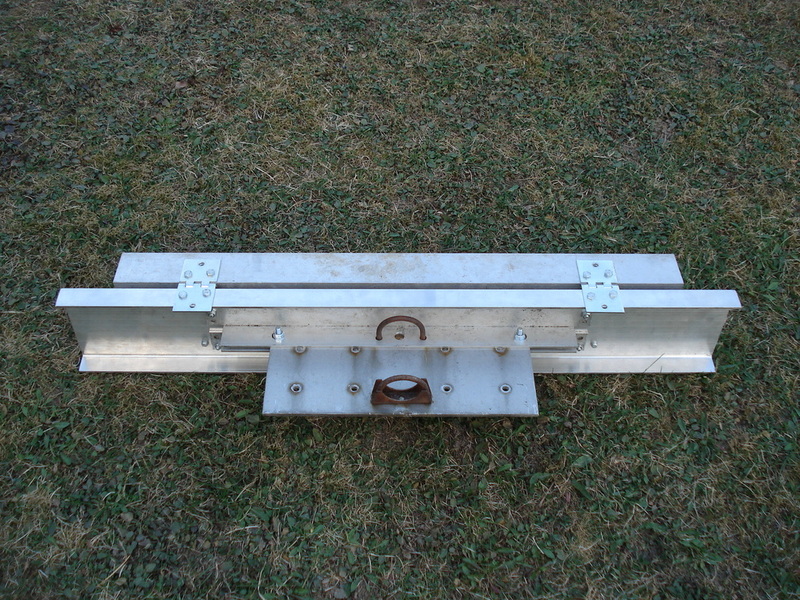 ​The sledge with most parts in aluminium. 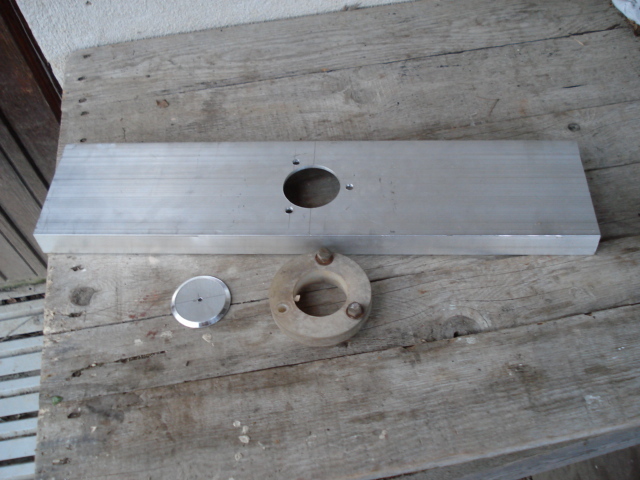 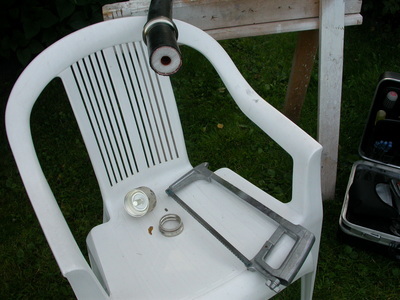 ​ Details for the Spid Rotator and the Teflon ring for the 2" tube. Next pictures show my current construction.